The Austrian Championship and Alpencup 2015 took place in Bad Vöslau , an adorable town near the nation’s capital Vienna, on 19 and 20 September 2015. The Championship complements the list of many similar HEMA competitions on the provincial and national level, nevertheless, its addition opened a new chapter in the cooperation of regional HEMA communities. While the ÖFHF österreichische Meisterschaft and the Alpencup are two separate competitions – the former providing the ranking list of competitors from the ÖFHF, the Austrian HEMA federation, and the latter including a larger pool of athletes – both were held on the same weekend at the same place. The scheme was simple: all registered fighters were to fight through the same matrix, following the same rule sets and weapon categories. Both competitions contributed to the same result list with the winner of the tournament becoming the winner of the Alpencup and the first ÖFHF fighter on the final list getting the title of the Meisterschaft. This year, 23 participants from three countries fought in three categories: longsword, rapier and sabre. Their bouts were managed by six judges and everybody was well taken care of by the members of Historisches Fechten Baden, the local member of ÖFHF. The winner of both the Alpencup and the Austrian Championship 2015 is Ingulf Kohlweiss, member of INDES-Salzburg, an accomplished fighter, as well as a much respected HEMA instructor. The idea to start a HEMA competition in form of a league sprang in quite a dramatic setting – in an underground fallout shelter in Geneva, surrounded by the Alps. In early December 2015, after the First Session of the General Assembly of IFHEMA had been adjourned, delegates and other participants were invited to a portion of raclette and white wine – a usual intro to an evening-long relaxed socializing. Sitting a bit farther away from the cheerful commotion, a group was diligent at work discussing the concept of the HEMA league and its competition system. 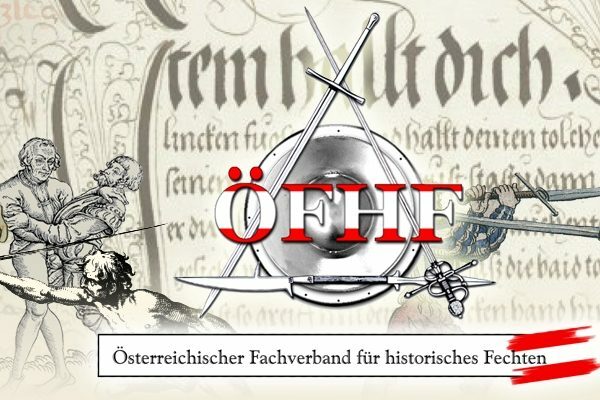 The initiator of the process was Harald Winter, larger-than-life president of ÖFHF and Vice-Treasurer of IFHEMA, as well as the main drive behind Dreynevent. Harry was very kind to agree to join me in a Skype chat about the Alpencup. 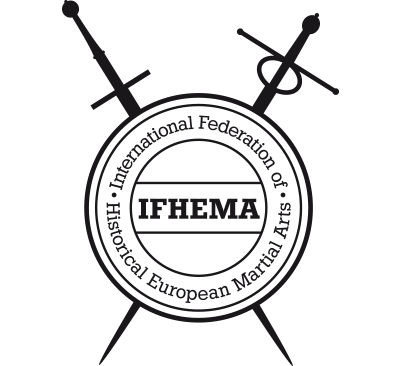 It was in the time prior to the General Assembly session, while IFHEMA has been considering declaring its official support to the IFHEMA International Cup (IIC), when Harry got a sudden impulse – why not create something similar, but a bit smaller, something for Central European HEMA communities? He wanted to establish a competition based on a co-operation between national federations, an event interesting for spectators to watch, for media to cover and for sponsors to support. One of the main strings was creating an opportunity for developing a live testing ground for rule sets and allowing for HEMA judges to build up their performance. To enjoy the privilege of having a fully operational set of judges and at the same time avoid situations where any of them would have to judge a bout fought by a fighter from their federation? A marvellous idea, but can it be done? It would take some time and some testing, but is far from impossible. The Central European environment seemed as a very practical choice to him, as already existing national federations in the region are active in relative proximity to each other, which makes joint operations less troublesome and travel costs lower. Creating and developing a joint competition system would motivate the federations to further cooperation and networking. When asked why should the competition be named after the Alps, Harry replied that the Alps are one of natural connections between Central European communities and so it makes sense to have them as a mutual symbol. I found no reason to disagree with him. The first reaction after he had revealed his thoughts was expected. Nodding heads, articulated appreciation and an invitation to continue the process through email. Harry was glad that he got a positive feedback from the federations he aimed at. From December up until May 2015 when the registrations opened there were times when he felt the intensity of the process relaxing a bit, therefore he kept poking at the group and never stopped feeding it his ideas on the rule set and other things. The choice of the location was not difficult to Harry. Bad Vöslau is a lovely relaxed town just down the motorway from Vienna. There is no crowd, but plenty of parking spots, restaurants and accommodation venues. The biggest asset of the place is the local HEMA group, Historisches Fechten Baden, a friendly community of motivated Hemaists led by a master organizer Andreas Klingelmayer, who made everybody feel welcome. The majority of registered participants from Austria, Hungary and Italy* fought in the long sword category. Nineteen participants had to observe a ‘rather provocative rule set’, the intention being of making certain strategies less appealing to the fighters – rushing in did not pay off, double-hits were met with hostility and disregard for the opponent’s weapon got one pair of contestants disqualified. *Italian HEMA communities are at this time still not represented in IFHEMA. Nevertheless, the organizers find it important to co-operate with as many motivated regional HEMA communities as possible. Ingulf Kohlweiss won the day in the longsword category, with Richard Pavay from Hungary stepping to the second place and Austrian Andreas Hilscher listed as the third. The rapier bouts with their seven contestants presented nice and clean fights, seemingly slightly less imposing than longsword. Hungary was not represented in this category, with Ingulf Kohlweiss securing yet another first position, followed by his countryman Constantin Speitel with Aaron Caldarella from Italy winning the third place. The sabre category proved not to be such a challenge to the judges, as it was fought between Alessandro Cristiani and Marco Pavanello, both from the same club in Italy. Even if the number of fighters was the lowest for this category, the excitement was there. None of the contestants brought a weapon that would match the rule set. The local team did not just stand by, they provided the blades and made the sabre bout take place. It is important to put another category in the spotlight: the title of the Best female contender of the Alpencup 2015 went to Anna Till from Austria. Harry was pleased with the results of the first Alpencup event and places great hopes in the future of this enterprise. Nevertheless, his optimism rests on hard-won experience. The Alpencup was not planned as a one-time event, but a lot depends on the federation that picks the flag next and brings the competition forward. A working league system can be established in the next three to five years, depending on the input from the federations. ‘But not with only Austria doing it,’ Harry repeated. … and Farewell to all! The conclusion of this article actually deserves an independent piece, but Harry does not enjoy spotlights so much. There is no other way of saying this: one of the pioneers of HEMA, a mover-and-shaker in a great number of evolutionary steps within our communities (including the creation of IFHEMA!) and a great friend Harry Winter decided it was time to retire. I remember when I met Harry for the first time. It was at the first HEMAC event in Dijon in the early 2000s. He and two other friends from Dreynschlag delivered a memorable ringen workshop. HEMA, fun and more fun. His achievements are many and Andreas Klingelmayer, who succeeded Harry as the President of ÖFHF, presented them to the Alpencup participants with gratitude. For most Hemaists outside Austria, it is Dreynevent that they usually think of when Harry is mentioned. No wonder, as the event is another in line of his HEMA kids. The biggest regional HEMA event and one of the grandest in Europe, Dreynevent remains one of the best managed gatherings which never disappoints neither in programme nor delivery. In addition, I cannot think of another HEMA event being completely booked in only nineteen minutes (yes, 19!) after the registration had opened (five months prior to the event actually taking place). Harry has no fear about the future neither his own nor for HEMA. His large shoes will be hard to fill, but he is certain that people who will follow in all the functions he used to manage will make a good job – only if they keep the co-operation between HEMA communities going and do not settle for self-sustained groups.